Warning: Byronic characters provoke extra-long reviews from the PPCC. Also IMDb had no cast details and so neither do we! What do you get when you combine Devdas with Othello? You get Naina (Eyes), a movie that is at times poignant, at times tiresome, and always interestingly unique. It's one of those movies that leaves you in a sheen of its movieness; in this case, it left us in one of those bittersweet "Oh, humanity! Oh, life!" moods. Written by Kaifi Azmi (father of Shabana) and starring Shaukat Azmi (mother of Shabana), it has a semi-classical, semi-progressive vibe. It's also very influenced by poetry and theatre, so that typical Hindi movie scenarios get treated in relatively new ways - the same melodrama, but with more mature emotional politicking and moral greyness. Enter Ravi Verma (Shashi Kapoor), famous poet and grieving alcoholic. Ravi drives the girls wild with his tragic debauchery and even though his wallowing self-pity is impractical (he doesn't show up to poetry recitals, he squanders the family fortune), he is good-hearted. Yes, really! Byronic he may be, but he lashes out at no one, emotionally blackmails no one, and generally just keeps his moping to himself (or channels it productively into his poetry, excellent!). This is all unlike some people, ahem. Any movie where Venice is a liberating Elysium gets an A+ in the PPCC's books. La nostra bellissima Serenissima! Indeed, because of his gentle melancholy and good-humored fatalism, most people feel compelled to help him out and cut him some slack - his biggest fan, Jyoti (an adorable Moushimi Chatterjee), her father and family friend (??? ), even the neighborhood paanwallah. Meanwhile Ravi's semi-royal father (???) and chilly aunt (Shaukat Azmi) are exhausted, annoyed and forever worried about him, and they don't know whether to punish him or help him out (they usually do a bit of both). "So what's wrong, Ravi?" you ask the television screen. Flashback by flashback, we learn that back in the day Ravi eloped to Europe (yay!) with a nautch-girl/prostitute, Naina (Rajshree) - causing much drama back home. If you've ever seen Umrao Jaan, Ghungroo, or Teesri Kasam, you know that such relationships never work out - but kudos to Ravi and Naina for trying! Indeed, we think this is one of the first Hindi films we've seen where the forbidden couple actually does elope. Told in disorienting cross cuts, we witness their flight through Venice, the French Riviera, Rome. Yet something has happened - which we learn much later in the film - and Naina is now dead, Ravi grieving, and Naina's mother (???) and sister, Rajani (??? ), both courtesans themselves, hating Ravi. Hmm. 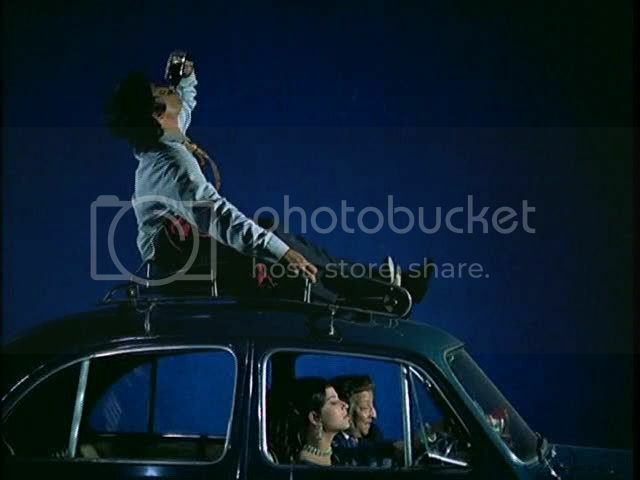 This movie also used blunt and experimental symbolism, such as when Jyoti's weeping over Ravi's alcoholism cross cuts with these subliminal-short flashes of a ship drowning in an ocean (of tears and whiskey, apparently!). Enter the complication: Jyoti, who crushes on Ravi big time, turns out to look a lot like Naina around the eyes. This, naturally, attracts Ravi's attention, and sparks fly of the emotionally unhealthy sort. Jyoti's hero-worship/Florence Nightingale act, however, turns out to be the one thing that might save Ravi from himself, or so think the older generation, who agree to marry the two off. Ravi and Jyoti are thrilled, yet troubles continue - every time things are looking up, Ravi experiences PTSD-like flashbacks and then compulsively drinks and wallows. If you're like the PPCC, you're probably going, "What the hell happened in Europe?! And OMG, please don't let Naina's end be some latently misogynistic moral fable about how eloping and nautch-girls are evil." What Happened In Europe becomes the crux of the film, but we won't spoil it. A funny and sweet moment from the song, Humko To Jan Se Pyari Hai, where Jyoti daydreams about Ravi in (and on top of!) her car. And, because the director of this film loves us, some time later we get a visual parallel in reality. A further complication: Ravi's cousin, Mahesh (??? ), is basically Iago. Scorned and embittered, he loved Naina too and has channeled his grief outwards, big time. At first, this character rang really hollow for the PPCC, but we slowly grew to accept him as we realized more and more the parallels with Othello. Only when Mahesh just gave in and became full-on Iago did we think his character started to work. His outfits, however, always worked. All he needs are horns and a tail. Some things in this movie worked really well. The most important aspect was Ravi, as he carries the emotional weight of the film. A character like Ravi could have easily turned into someone as intolerable as Sanjay Leela Bhansali's Devdas, but thankfully he didn't. Like Devdas, he was dark, self-involved and self-destructive. Unlike Devdas, he made constant attempts to break free of his addiction - and yes, it's treated as an addiction. Well, mostly. It also got the movie treatment, which meant that it was perversely glorified as an edgy, Gothic, romantic way to go. But alas, self-destructive behavior in art - from Laila-Majnu (which this film also calls to mind) to The Man with the Golden Arm to Trainspotting - always has a bit of dark romance to it, especially when involving broken hearts and wine. Generally, the PPCC is a big sucker for this aesthetic (aah, Rumi! ), but it can also get really tiresome if mishandled. But Ravi's characterization did what it was supposed to: he's dug himself into a hole he's no longer capable of climbing out of, and we root for his redemption. In fact, special note must be made of Shashi. James Ivory once noted that Shashi's dark side was never fully explored by Indian cinema, and generally that's true: many of his iconic masala roles (Kabhi Kabhie, Aa Gale Lag Jaa, Trishul) were happy-go-lucky bourgeoise types with narry a care in the world. Sometimes (Junoon, Deewaar) you'd have intimations of a darker self underneath, but generally Shashi's cinematic avatar was a Force of Good. Hence he's refreshingly different as the tortured and complex Ravi. Hey, don't judge if we like to get wasted. The PPCC got flashbacks of Tom Waits' Jockey Full of Bourbon during this whole song. It also shares vibes with Beirut's evocative A Sunday Smile. And this cap looks like they're getting down to Jay-Z or Outkast, which is great. 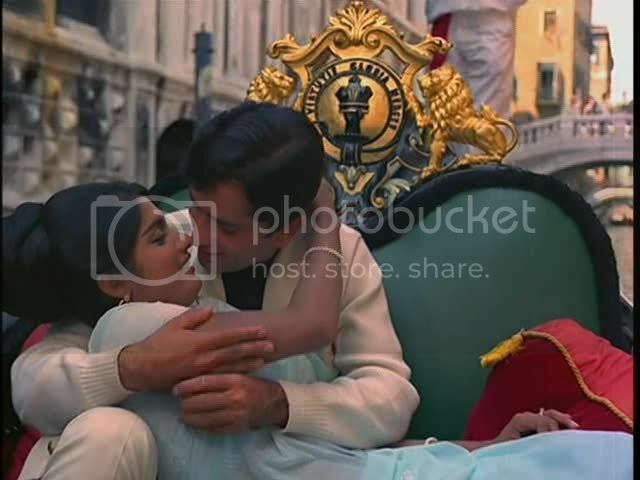 Another great song is Humko To Jan Se Pyari Hai, which features gorgeous shots of Piazza San Marco in Venice, a haunting melody and nice compositions. Unfortunately, Mujhe Tune Mar Daala, which features the Best Shashi Dancing Ever - and is also just incredibly sweet because it's during a sequence when Ravi and Jyoti are seeing the light at the end of the tunnel - is unavailable on YouTube. Curse you, internet! 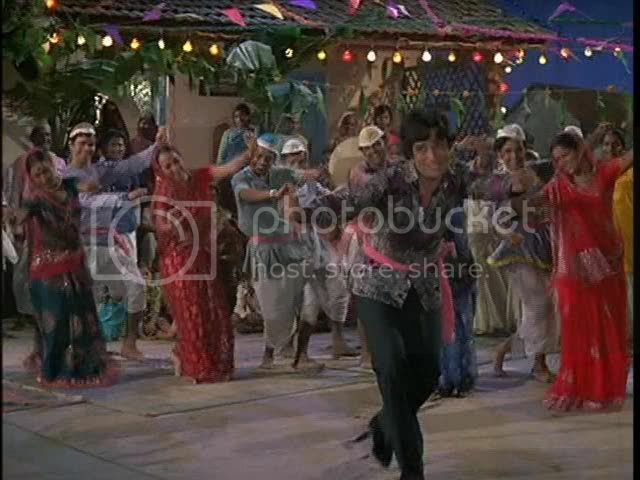 Shashi's Best Dancing Ever. Trust us. Now what didn't work? Well, alas, the film's relatively straightforward story was protracted. Especially during that middle bit, we were just tired of stupid Ravi and his stupid drinking, stupid Jyoti and her stupid patience, and stupid Iago and his stupid Iago-ness. Hmph. Things picked up again in the end, though, BIG TIME, as it became epically masala. Thank you, movie. Another thing which was bound to cause problems was Jyoti's characterization. Jyoti is introduced to us as a fan of Ravi's who longs only for a glimpse, or maybe an autograph. When she gets the chance to marry him and nurse him back to mental health, she jumps - not realizing the mess she's getting into. Kudos to Kaifi Azmi for writing up a believable reaction to just how lame it is to actually run a one-woman Alcoholics Anonymous course, and also kudos for acknowledging that doubts would arise as to whether it was a good idea at all. Poor Jyoti tries everything to make the marriage work and get Ravi's head unstuck from Nainaland - she showers him with selfless affection, protects their reputation from gossiping family, cleans up his messes, dabbles a bit in self-harm herself (! ), dabbles with reverse psychology, and eventually gives up and tries to just assume the role of Naina, literally. Argh! It was incredibly distressing to see a Good Person willingly do this to herself - all presumably because she crushes on Ravi (understandable, it is Shashi) and likes his poetry. WTF? Thankfully, while her determination is admired, the film shows that her sacrifices are ultimately useless - indeed, it's a chance discovery made by the Whore (Rajani) that ends up saving the Virgin (Jyoti) and everyone else. Yay for not punishing women who drink and dance, for once! Yay for instead giving them the power to set things right! Anyway, despite the flaws, we enjoyed this movie very much. It was a breath of fresh, semi-masala, semi-indie, Byronic air. The ending was also so powerful: we never hear the conversation Ravi and Jyoti have in the final scene, we can only see their reactions while the train thunders by and the main song blares. It is, in many ways, like the startling and epic endings of Kaala Patthar or Suhaag, where Maximum Dil Potential is achieved, all sins are forgiven, and the PPCC burns down. Vah! Kya bat thi! Edit: Now you can watch the PPCC-homemade trailer for Naina, as well as the cartop song and Shashi's Best Song Ever. Wow! At first I was thinking that it sounded awful in the Devdas way, but your final paragraphs have convinced me. It also looks amazing, of course! Tell more about the hair morphing! Look at him, throwing himself into this. Look at 4:05 to 4:11, when he comes out of a rubber-limbed stagger and then eyes the camera directly for a split second, like he's saying "Don't judge me. My life hurts" and then you realize he's looking at Moushumi, not you. Even I find that moving. Also, the set in that song looks like a basement we had cast parties in in high school. This one was more like a bad adaptation of Daphne Du Morier's Rebecca than a parallel Othello! I was really struck by the younger Shashi in the flasbacks with Rajshree. It was apparently because she was signed up for the movie but left Bollywood after filming the two songs and the movie was completed a few years later with Moushumi Chatterji. Cant help but wonder what the original story might have turned out to be! Agree that the Venice version of Humko to jaan se was super - I was surprised to see clips from it in Bombay Talkie where the print of the song was way better preserved! I think your Iago is actor Akashdeep who did villainous side-characters in several other movies around that time. Yay for red clothes! Yay for whores! Especially drunk whores! Yaaaaaayyyy!!! Hey, the last picture where Shashi is dancing, looks like it was filmed in the same studio as the Bobby song ''Jhote Bole Kaawa Kate Hai''. Beth1 - Yeah, thankfully the movie seems to treat Ravi's alcoholism more like PTSD (sudden crippling flashbacks, compulsive drinking, and an overall desire for it to stop) rather than a sort of weird narcissistic drinking that Devdas just decides one day to do. This makes Ravi a lot more sympathetic and real - and even then, it's still quite frustrating and melodramatic. The movie's definitely not perfect - I'd say it's a big mess and the director didn't handle the emotional themes very well - but the overall vibe and some particular moments worked really well. Beth2 - Ha! I think the bittersweet vibe of the song is getting to you! Yeah, like Naseer said for Shammi, it's a tragedy that Shashi never made a Great Movie. But as Jai Arjun says, one of the best things about Shashi is how he managed to straddle so many different industries - MerchIv, masala, mod, and more! Gotta say my fave moment in the song is all of Ravi and Rajani's interactions; it's such forced, celebratory despair. Reminds me of the soul-crushing nightcrawling in La Dolce Vita. Bollyviewer - Ah, didn't know about Rebecca, but indeed it's the same! I got Othello vibes mostly from the whole Accident in Europe and "Iago"'s involvement in that. Also, the fact that Shashi and Rajshree's love story goes through Venice - Desdemona's hometown - too hard to resist seeing (inventing?) parallels! Thanks for the interesting tidbit re: Rajshree! A nice, vanilla 60s Shashi movie is always OK, but I must say, I'm glad this one came out a bit different! Memsaab - Yes! Everyone in red! It matches all the wine. Stella_1 - Is it? Hey, sharp eyes! hooray for elopments w/ bad girls! and i am betting when "naina" died, moushmi got her eyes cos she was blind or soemthing- and Shashi, true lover that he is, could recognize those eyes anywhere. Shweta - Get thee to Nehaflix! Finally I succeded in getting the movie, but only as vcd without subs. Yesterday I read your statement because I found out it´s more fun to have my own opinion and then check your thoughts. I couldn´t sleep at night and had to watch the movie again. Yes, it has a lot of Rebecca (Laurence Olivier & Joan Fontaine) actually more then the book. It reminds me as well of Cat On A Hot Tin Roof (Elizabeth Taylor, Paul Newman) especially while Moushumi in her own Indian-married-woman-way has a touch of Elizabeth Taylor when she pretends to be pregnant and hiding the state her arriage is in and is fighting for it. but that was part of the sixties movies, wasn´t it, with Shammi in Paris and Hamburg and Joy Mukherjee in Paris, Rom and Spain etc etc to name a few? Great Film (I love Shashi anyway in good and in bad days aehm movies) but thanks for that drunken-scene-thing that made me buy this movie even without subs! Just came across these 2 songs 'Albele Sanam' and Humko to Jan se' both haunting melodies - from the film 'Naina' - in You Tube. Never knew this film existed till now. I just wonder why the review was silent on the smouldering 60s beauty Rajshree ? The very first crush of my wonder years, Rajshree had something rivetting to her - her eyes was it? her smile ? it eludes description - Rajshree was just wow ! She gave many hits with top heroes like Shammi Kapoor (Janwar, Brahmachari), Raj Kapoor (Around the World), Jeetendra (Suhaag Raat, Gunahon ka Devta), Biswajit (Sagaai)etc. Sad the reviewer didn't mention her role at all ! Have dreamt of going to Venice since childhood - just because of that magnificent, gentle, beautiful and soulful song masterpiece. Yesterday came back from there! :) and made the pics on the same spots. It is SUCH a beautiful place. And the song is the best advertisement for it: the best protrait of Venice and the mood and atmosphere of Venice. The best looks of Shashi (I love when he has his haircut like that) and he is soo charming here, how lucky were those in Venoce around him; one of the most beautiful actresses (Rajshree!!!). Mohammad, these lyrics, the delicate colors, wooowww, it all makes my heart melt. Bravo to director... Have never seen the film though. 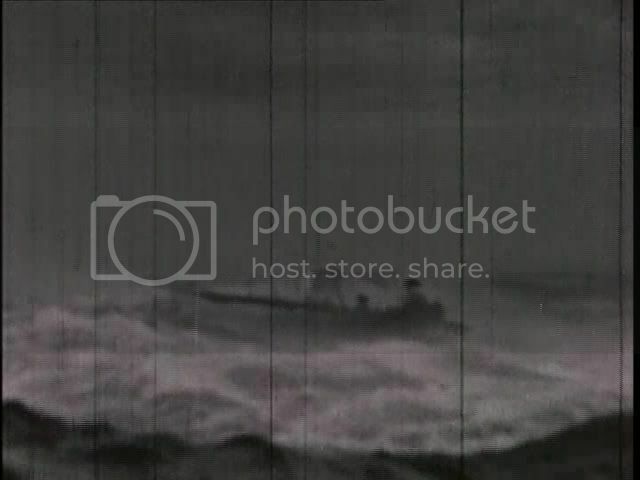 No copy, so just planning to watch. Thanks to Greta's FB post yesterday re Naina, I'm visiting this blog - for the first time. Have only read a few reviews here - and want to say this is an absolutely AWESOME blog. Your sense of humor is just brilliant! I expect to be visiting here regularly from now on. I also have a lot of catching up to do - loads of reviews still to be read. Is this also Rebecca in addition to being Othello and Devdas? Is this also Rebecca (in addition to being Othello and Devdas)?